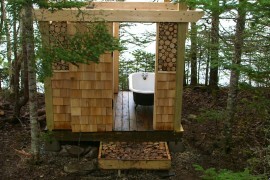 Why take the long trip to a busy spa on a weekend when you can bring the spa home? 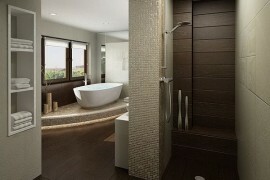 Modern interiors are all about customized features and cool additions that add comfort and class to your lifestyle. 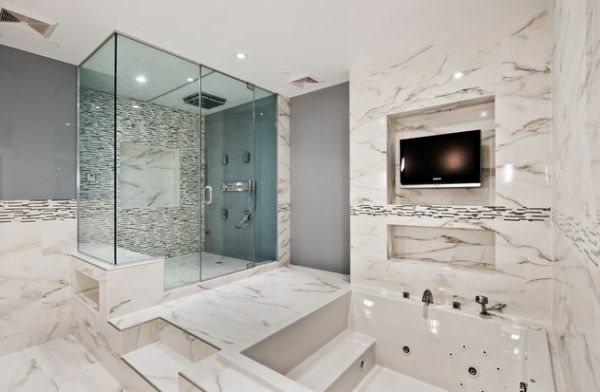 A spa-like bathroom at home is the perfect way to bring the opulence home, and incorporating a steam shower is the perfect start. 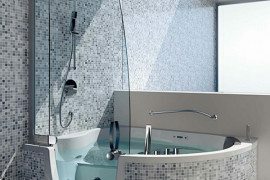 Contemporary steam showers have come a long way in the last few decades, and the modern models bring a multitude of options that can be controlled with the simple touch of a button. Enjoy your favorite show while the steam eases your woes away! 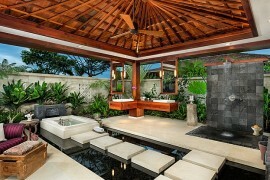 Luxurious steam showers, saunas and home Jacuzzis are not just for bathrooms that have plenty of space on offer. 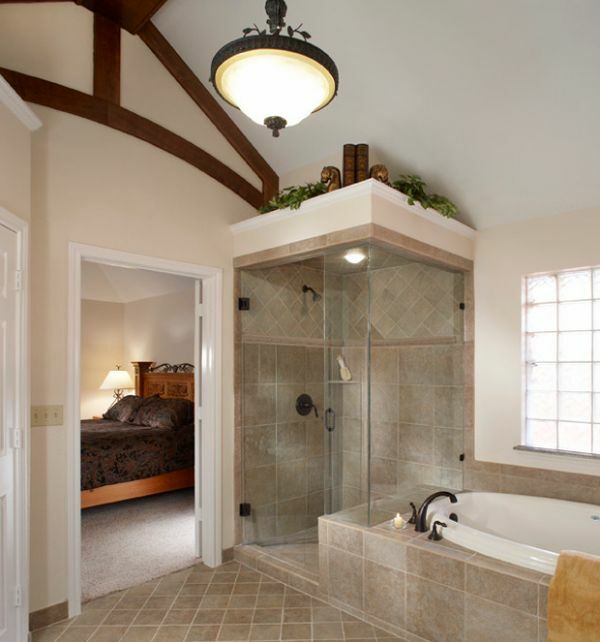 Even the moderately small ones can incorporate the steam shower with ease. 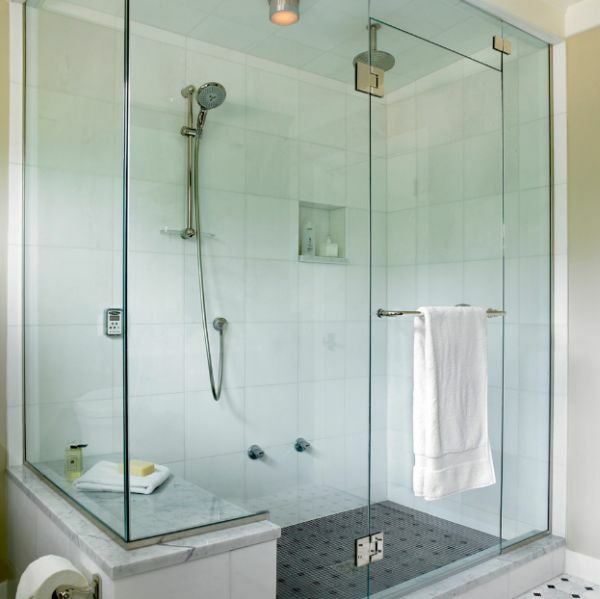 One of the easiest ways to add a steam shower to the small bathroom is by utilizing that forgotten corner space. 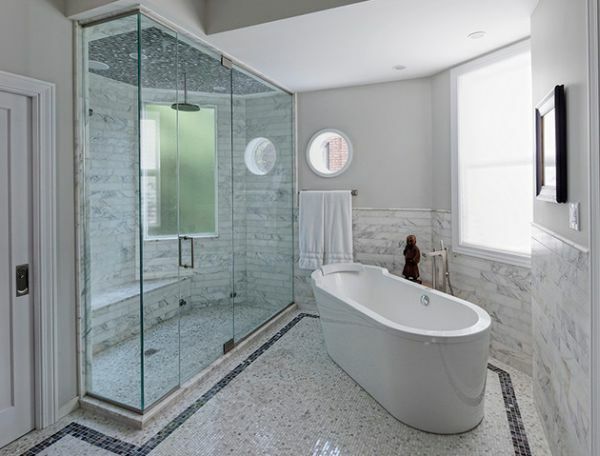 Just create an elegant enclosure in the corner using glass doors for the steam shower and make use of the remainder of space by incorporating a lovely bathtub and a floating vanity with sink. 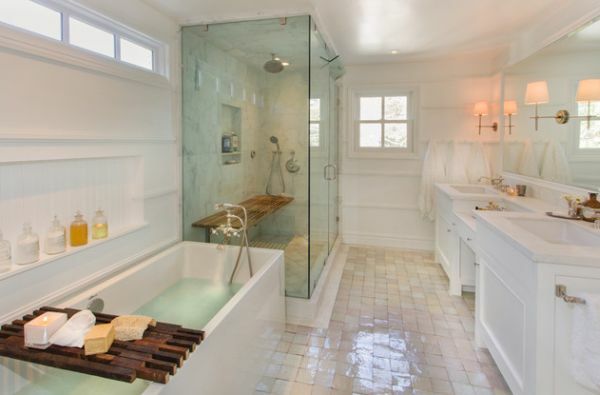 Floor tiles clearly steal the show here! 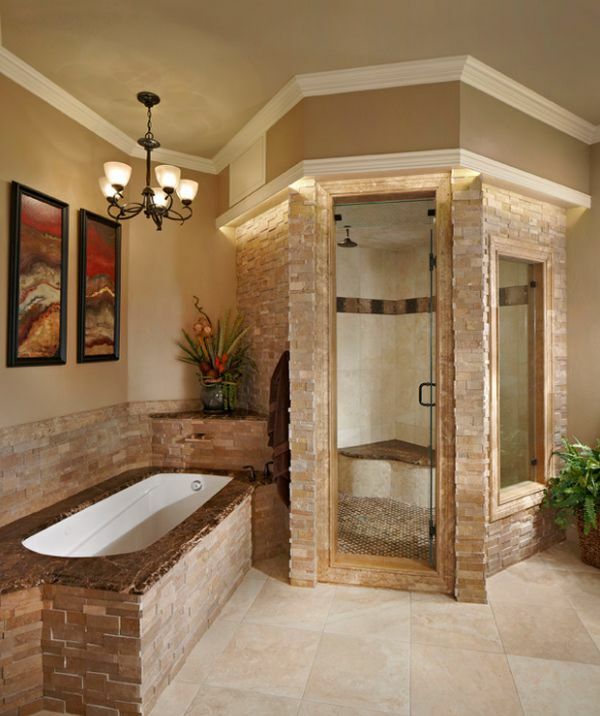 Designing and constructing a steam shower is one task in the house that is best left to the experts. 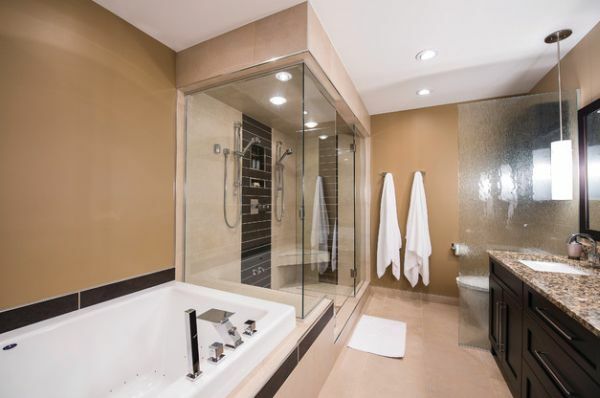 If sitting through endless choices that involve tiles, steam generators and design styles is not your cup of tea, it is best to buy a steam shower cabin that does away with all the hassles. 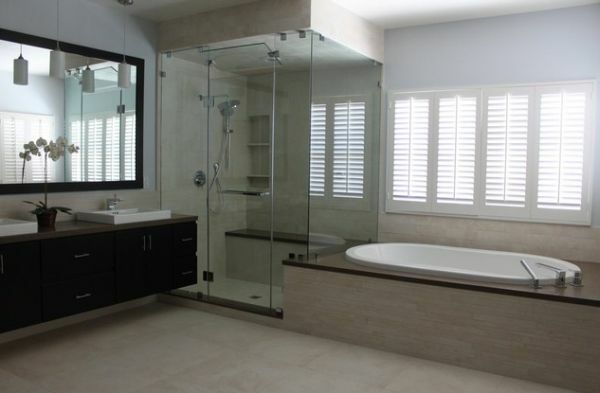 Many of these pre-fabricated units come with an array of luxurious options and are easy to install. 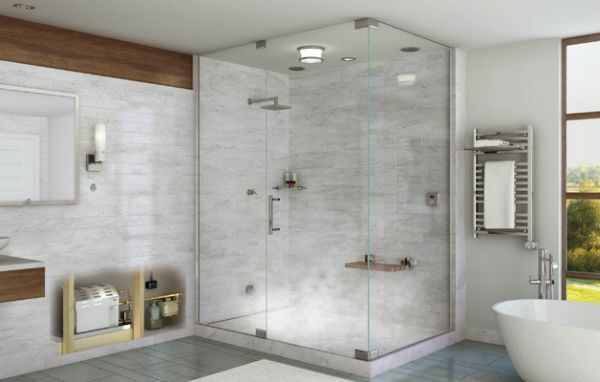 Cleaning and maintaining these showers is also far easier, and for the busy urbanite who has little time to spare, these enclosures are the ideal option. 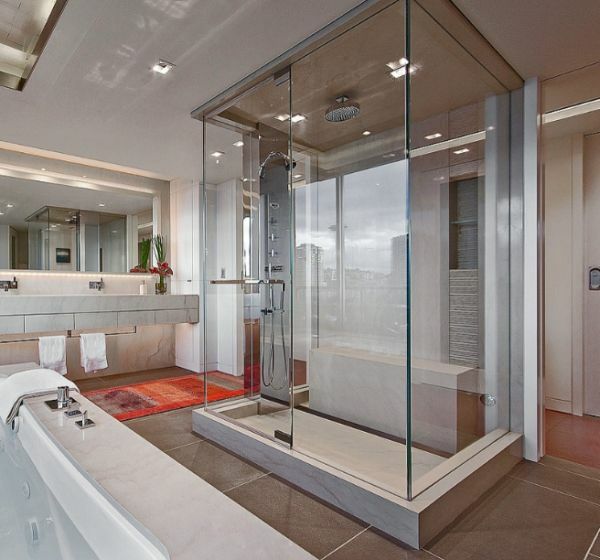 Ravishing red steam shower cabin brings the interior alive! 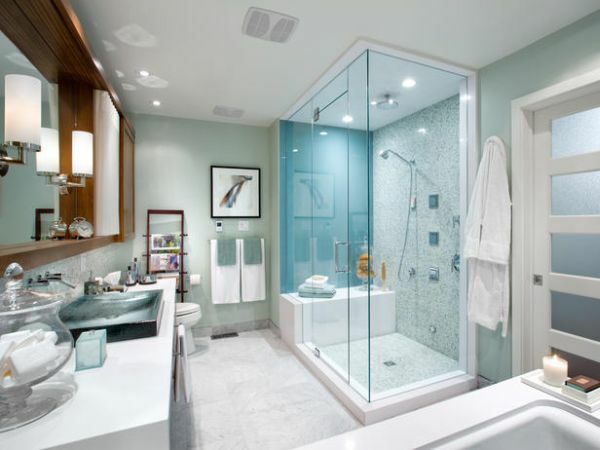 Steam showers are quickly gaining popularity not just because of the cool additional features they bring home, but also because of the ease of installation. 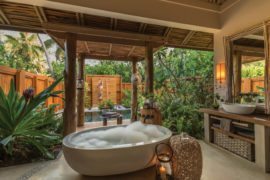 While traditional steam shower rooms need to be built from scratch, these contemporary cabins ensure that your latest bathroom renovation is quick, easy and exquisite. 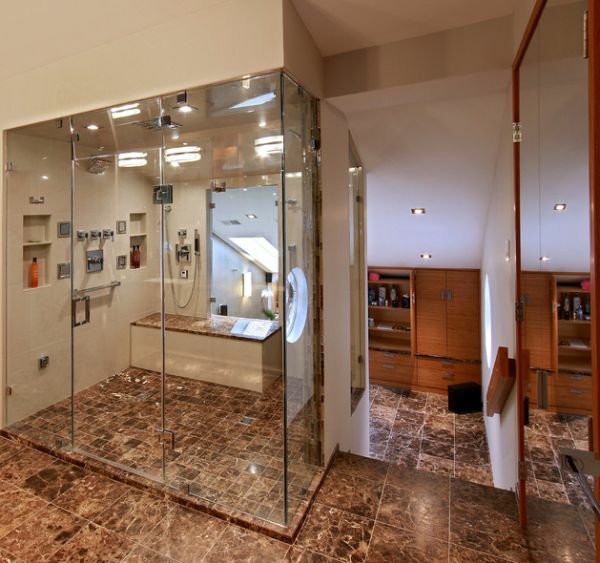 While modern steam showers are pretty easy to handle, adding a steam shower to your existing bathroom takes a bit of planning and care. 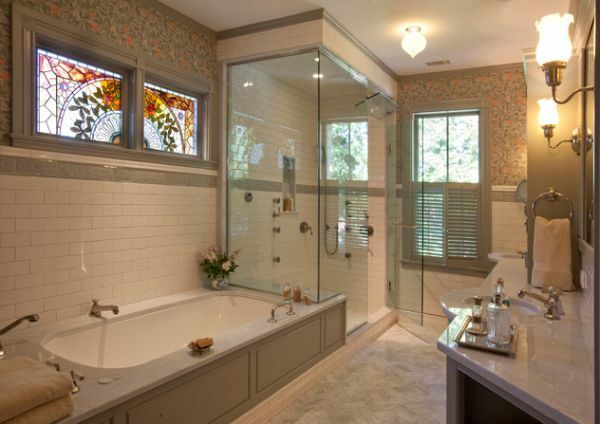 One of the first elements to explore is the use of tiles in your shower space. 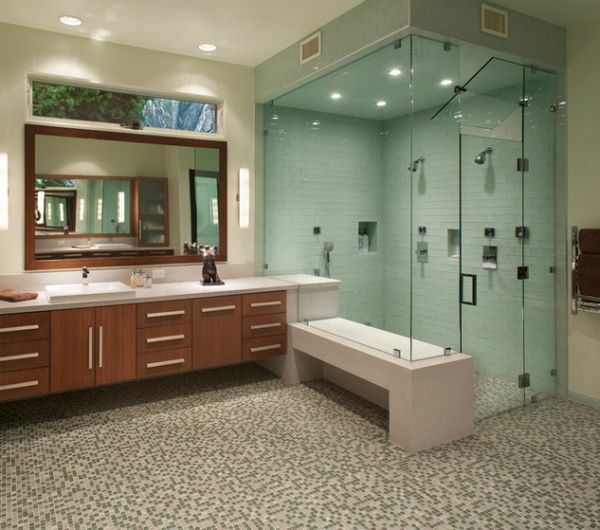 Since hot steam is far more invasive than water, make sure the tiling that you have in your bathroom is right. Apart from the tiles, also pay attention to what lies behind those walls. 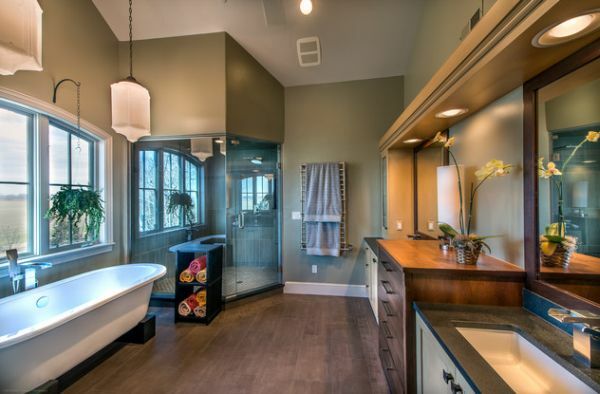 The best steam showers need top-notch insulation and waterproofing. 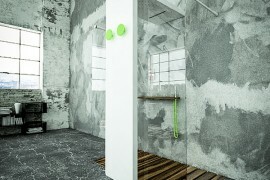 Better insulation not only helps in warming up the shower space quickly, it also helps reduce those soaring energy bills. 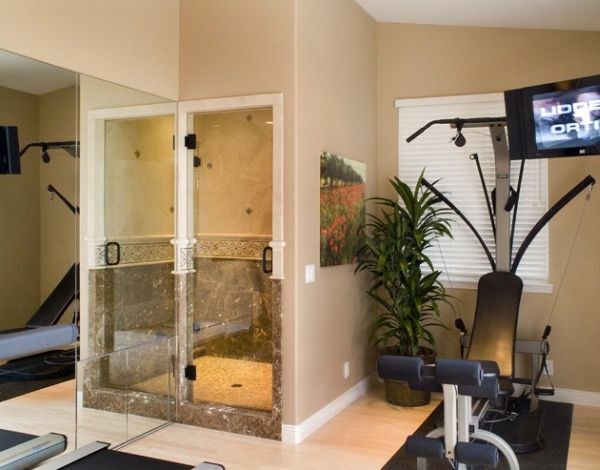 Home gym is another place where the steam bath comes in handy! 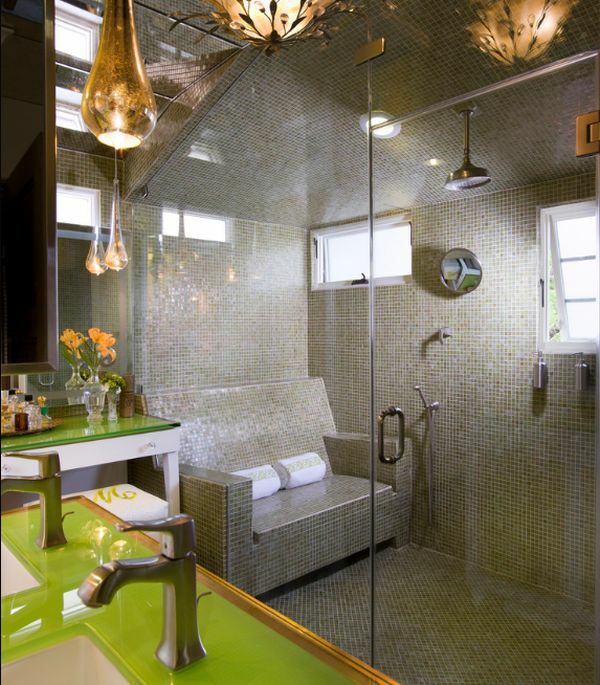 Using small tiles is another design tip that will help in making your steam shower far more efficient. 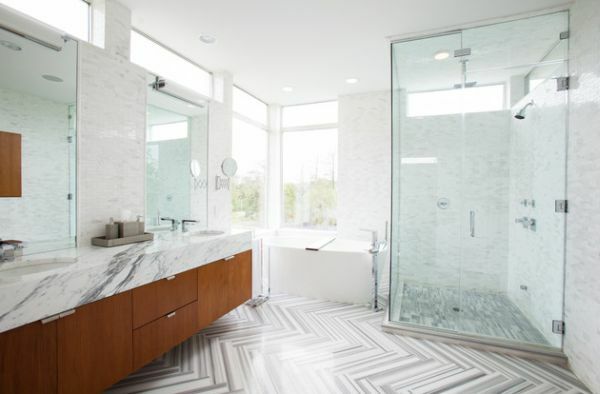 Smaller tiles exert less pressure on joints, and this makes them an ideal choice in a shower where heat and moisture cause constant expansion and contraction of tiles. Couple this with an appropriate steam generator, lighting and ventilation, and you have the perfect steam shower for your dream bathroom! 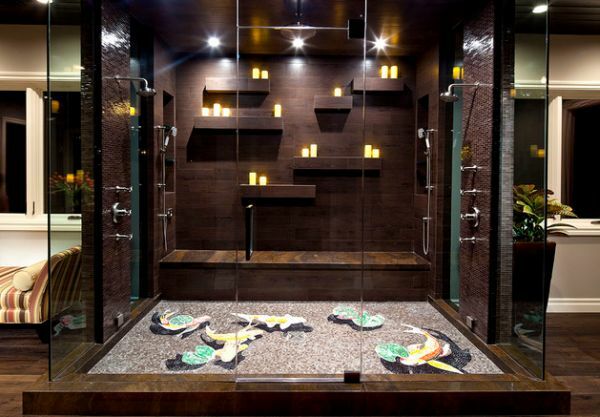 Steam showers go beyond the mere obvious advantages like relaxing those stiff muscles after a long day. They also offer plenty of health benefits that range from better blood circulation in the body to increased metabolism and weight loss. So, why not treat yourself to a replenishing soak right at home?